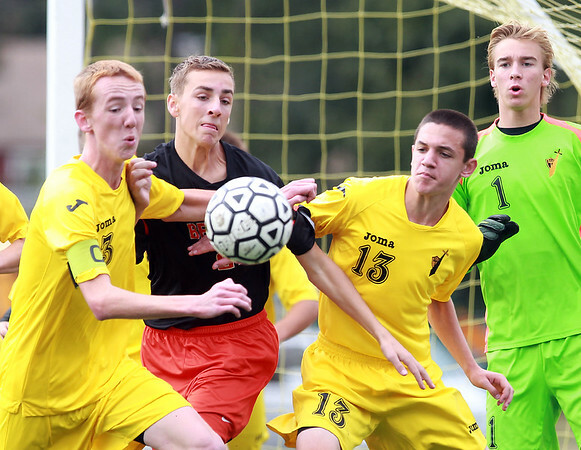 Beverly sophomore Austen Morin, center, battles for a loose ball with Bishop Fenwick senior captain Connor Alexander (3) and junior Jack Palmachuk (13). DAVID LE/Staff photo. 10/13/14.